Awareness program metrics concerning activities planned and completed, topics covered (breadth and depth of coverage), budget and expenditure ($ and man-days), comparisons against other forms of security control and against other awareness programs (in other fields and/or other organizations). Various awareness metrics gleaned from Help Desk/incident records relating to events and incidents reported (e.g. mean time to report, as well as mean time to resolve, incidents), help requests (number and complexity, perhaps split out by business unit or department), issues known or believed to have been caused by ignorance/carelessness etc., as well as general security metrics concerning incident rates for various types of information security incident - another driver to prioritize the planning and coverage of your awareness activities. I could continue but even my eyes are glazing over at this point, so instead I want to end with some quick comments about how to make sense of all those and other options, and how you might go about selecting 'a few good security awareness metrics' that might be worth actually using. Two specific approaches I recommend are PRAGMATIC and GQM. GQM starts with some exploration and analysis of your organization's goals or strategic objectives for information risk, security, privacy, governance, compliance and all that jazz (especially how these aspects support or enable core business), leading to some fairly obvious high-level questions (e.g. "Are we sufficiently compliant with our legal obligations towards privacy?") and thence to the kinds of metrics that would generate the data that might address or answer those questions (privacy compliance metrics in that case). At a lower level of detail, the same approach can be used to determine the goals, questions and kinds of metrics for security awareness. [Sorry, I'm not going to do that for you - it's your homework for today!] 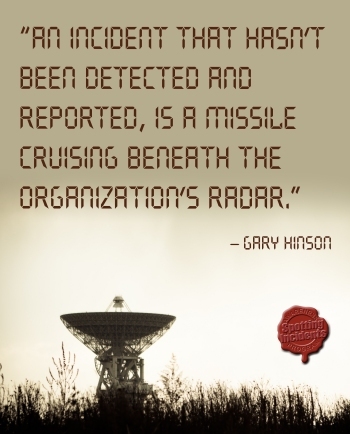 [For more on GQM, read Lance Hayden's book IT Security Metrics].